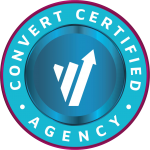 Corvus CRO helps you achieve consistent, continuous revenue and lead growth on your website with end-to-end conversion optimization consulting. We provide proven ROI insights via split testing. Take the guesswork out of website change management. Implement the winners and dodge the stinkers. Optimize your revenue, lead generation and order conversion. We build lasting relationships with our clients through regular communication and inclusion. Our intent is to be a partner, not a resource. We’ll work with you every step of the way; strategy, planning, setup, execution, reporting, analysis, and more. Our services are tailored to meet your individual needs.